This easy watermelon gazpacho is the perfect summer soup. It’s slightly sweet, but bursting with flavor. This summer watermelon gazpacho is a combination of fresh tomatoes, cucumbers, basil, red onion, and the secret ingredient, watermelon! 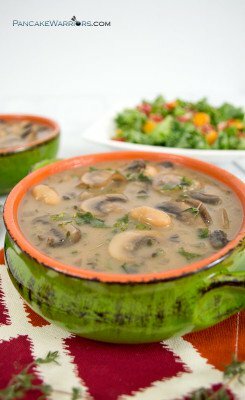 This cold soup comes together in no time, just chop the veggies, throw them in the blender, then refrigerate. The flavors become even more pronounced after sitting in the refrigerator for an hour or two. Two of my favorite things about the summer are the abundance of tomatoes and always having watermelon in the house. I’ve been known to eat watermelon until I am physically going to burst. Actually, that happens almost every time I buy a watermelon – they are just so good. Surprisingly, I had some watermelon left over and I wanted to try it in a savory dish. I’ve had watermelon gazpacho at a restaurant before, but I assumed it would be too difficult to make at home. Well I could not have been more wrong. This was the easiest dish to bring together. And it just got better as it sat. This recipe is a rough estimate, I used the “cups” on the side of my blender to guesstimate the amount of watermelon I used. I usually have all these ingredients on hand during the summer months, hopefully you do too! On those crazy hot days when you just want something cool and refreshing, you can serve this to the family or guests. 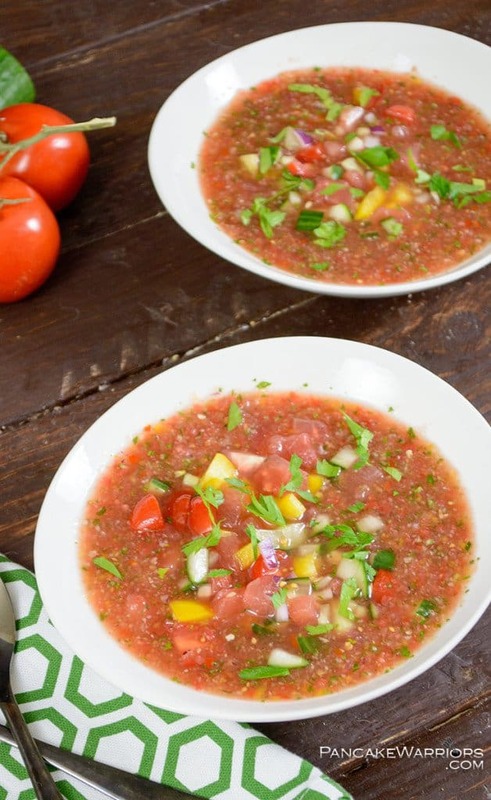 This easy watermelon gazpacho would be great for summer brunch, it tastes better the longer the flavors have time to marry with each other, so overnight would be perfect. If you love Watermelon on a hot day make sure to check out this Mint Watermelon Mocktail! You will want to coarsely chop all the ingredients. Reserve 1/4 of the watermelon, cucumber, tomatoes, pepper and red onion to mix in after blending for texture. Blend all remaining ingredients in blender until combined. You don't need to worry about this being smooth, just combined well. Add ingredients to a large bowl. Add reserved ingredients. Refrigerate at least 1-2 hours. Can serve for up to 3 days after making..
Have you ever made gazpacho? Yes summer is the best time for this! So glad you loved it Mary Ann! Ooo, this looks like the perfect combination of flavors! 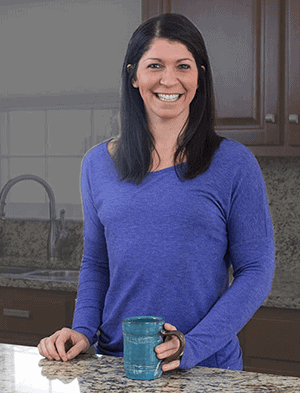 Thanks so much for taking the time to link up at the #HomeMattersParty – we hope to see you again on Friday! Looks so good. I have never thought of using watermelon in gazpacho. Yummy. Pinned for later & share. I really need to make some gazpacho. It seems like something I’d like, but just have never made. Now I know what to do with my left over watermelon from this weekend! Thanks for the recipe! Yum! This looks perfect for a hot summer day! I love it! Happy to share it with my followers and pinning so I can make it later! Thanks! Stopping by from The Skip The Housework Link Party. This is so unique- Definitely going to give it a go! Yum! I love the addition of basil to the traditional watermelon gazpacho. 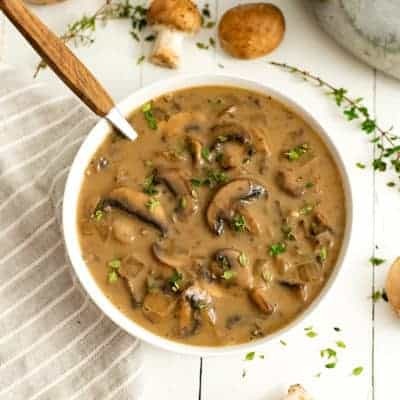 It’s such a great summer soup. Man does this look good or what?! I frequently hit a local restaurant that specializes in soup and they make a lychee watermelon gazpacho, I’m going to need to try this. Pinned! This is so interesting!! I want to try!! Thanks for Linking up on My 2 Favorite Things on Thursday!! Hope to see you again tomorrow!! I love having You!! Pinned!! Should I even admit that I havnt even tried Gazpacho? Maybe now is the time to change that! Looks delish. Sounds perfectly delicious… pinned to my healthy board as I am on a mission to fit in to my new swimming costume in time for my winter sun holiday! This looks fresh and so tasty! Love it! And the colours are oh so pretty! Perfect for the summer! 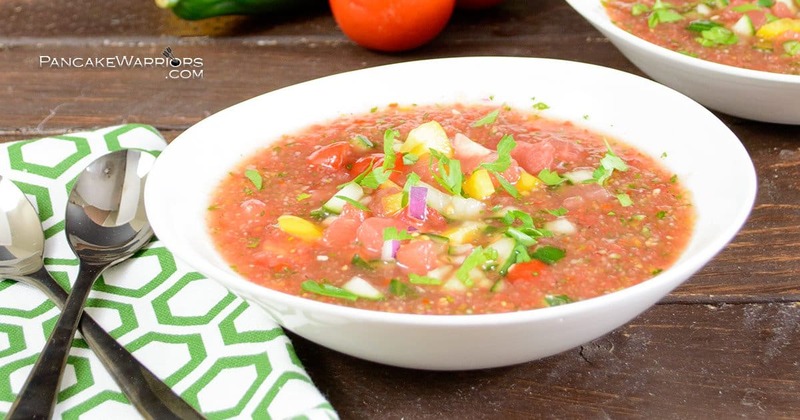 What a delicious, refreshing gazpacho! I love Gazpacho this time of the year. I have tried making it with watermelon in the past but it is nothing like this one. I will have to try your recipe now. This gazpacho looks absolutely delish Samantha! So refreshing on a blistering hot day! LOVE gazpacho! I’ve made and posted a cantaloupe gazpacho with prosciutto, and a green tomato gazpacho with grilled shrimp so far this season and I can’t get enough! Adding this to my list to try! 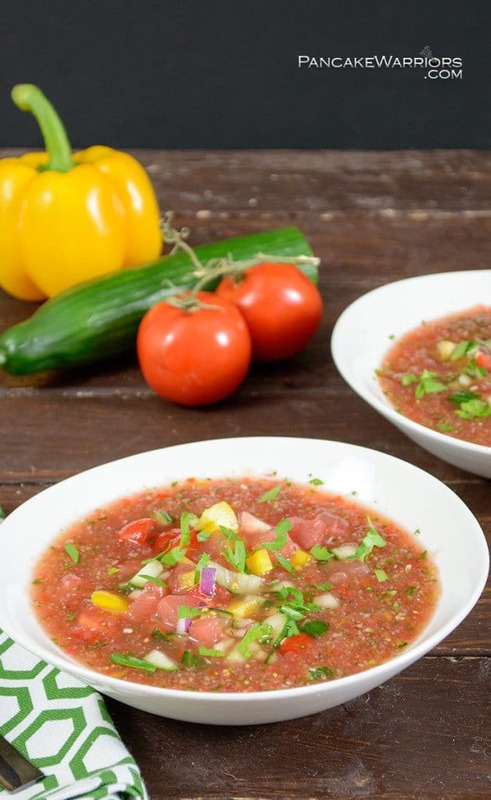 Yum, I love gazpacho, especially in the summer, your version with the watermelon sounds wonderful! This is so creative!! Love the idea of a sweeter soup. My favorite summer produce is all the berries! I can’t get into gazpacho yet…something weirds me out about cold soup, haha. Using the watermelon is creative, though! Looks perfectly refreshing for summer! Ooh I live gazpacho but have not used watermelon ever. Nice twist! Love every ingredient in this! I just started making watermelon gazpacho recently but it’s probably not as good as your recipe. Lots to learn about making gazpacho! Did you get my last Skype message? I have a confession to make. I don’t like gazpacho. I don’t know how or why, considering the fact that I love every ingredient that is involved in gazpacho. It is mystifying. But I kinda want to try watermelon gazpacho and see if it changes my mind!